Next Sunday we will be at a local primary school as a part of a church plant from St Luke's Miranda. 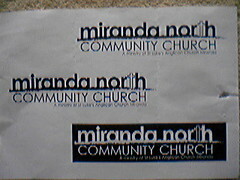 # Miranda North church plant - prep. super excited by church plants... pray that this one would be gold!